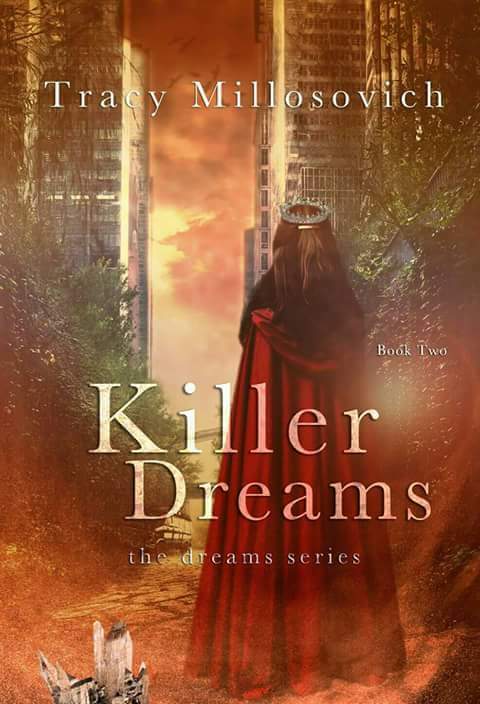 I keep getting asked if Killer Dreams Book 2 is a standalone novel since its cover looks similar but not an exact idea to my debut novel Crystal Dreams Book 1. For all you wonderful readers who love the standalone novels inside a series kind of reads, no, this is not a standalone. It’s a continuation of the story line from Crystal Dreams Book 1 (released in April 22, 2016). Question: What’s a “Mifa” / “Mita” in the book, and what does that mean? Answer: Because the Tartan planet of magic in Crystal Dreams is based on monarchy rulers, there are Kings, and Queens. Simply put, magical creatures call their Kings “Mita” (pronounced mee-tah) while their Queens are called “Mifa” (pronounced mee-fah). Their royal Princesses are called “Risa” (pronounced ree-sah), and their royal Princes are “Rita” (pronounced ree-tah). Though, since Jason, the twin brother to Mita Thomas, is officially known as the loyal “King’s brother”, he’s both Risa AND Mita. Little secret though, Jason hates being called Mita Jason due to the duties of being a King that he hates being obliged to follow. He prefers to be titled Rita so he has a tad bit more freedom. As a royal Prince, he’s not obligated to show his face in public unlike Thomas, and is able to do whatever it is he does behind the scenes of running the royal world. Q: Who is Crystal Rose? A: If you’ve read Crystal Dreams Book 1 then you know that Crystal Rose is the human girl that the magical world, Tartan’s ruler King Thomas’s Queen (Mifa) Tara Rosa, reincarnated into. 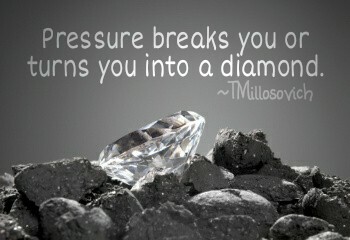 In Book 2, Killer Dreams, the POV of the novel changes into Crystal’s point of view where she continues the story line. She’s quite a firecracker living in the magical world of human hating. No, the humans, and the magical world aren’t warring over this woman. The humans live on a dying Earth which turned them greedy, and they wanted the lush resources of Tartan for themselves. After starting a war with the Tartan inhabitants, which cost a magical creature’s life, the Tartan world fought back. Crystal just happened to be caught between choosing to help her fellow human race kill magical creatures who have done Earth no harm or saving the magical planet of Tartan. Q: Who is Thomas Johnson? A: First born King of the magical planet, Tartan. The main male in Crystal Dreams, he takes his job. as King (Mita) seriously. I would too if I had a job of perfect luxury, and was married to the love of my life for over 4 centuries. 😉 His goal in Crystal Dreams was to find the reincarnated soul of his beloved Tara Rosa, and bring her back from the dead. 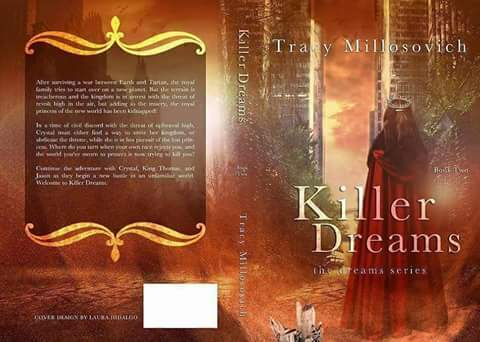 In Killer Dreams Book 2, Thomas turned his attention to ruling over his people, and finding true love. Q: Who is Jason Johnson? A: Jason is a husband, and father. Second born to the Tartan throne, Jason goes by 2 royal titles: Rita (Prince) and Mita (King), but he prefers to be deemed a Prince due to the lesser royal duties as oppose to being deemed Mita (King). Though he’s officially the King’s most loyal subject and biological twin brother, Jason’s also loyal to his daughter, Risa (Princess) Merin, and faithful to his wife, the royal healer Ana. He went to war being on the front lines against the human race in honor of the royal family in Crystal Dreams Book 1. When he returned to the palace his daughter was kidnapped by demons masquerading as harmless humans. They’ve also convinced his wife to join them in trade for Merin’s freedom. Now, in Killer Dreams Book 2, Jason must fight to get Merin back without losing his wife to evil in the process. Jason sworn his loyalty to Queen (Mifa) Tara Rosa when she ascended the Tartan throne 4 centuries ago, and only to that queen hence his harshness towards Crystal when she first appeared. He doesn’t take changes in life well, and also took it hard during the incidence with Tara Rosa leaving Thomas to bring Crystal to Tartan as the planet’s new queen. Usually the kind of person to smite first and ask questions later, Jason volunteered to go to war against the humans of Earth to protect his family. A: Ana was introduced in the first novel as a nurse who healed the royals, and magical creatures. Due to her affiliation to her King, Mita Thomas, Crystal Rose is the only known human Ana has agreed to help. She may be a strong woman in healing who doesn’t take crap from anyone, but she’s tender to her daughter, Risa (Princess) Merin. After Merin’s kidnapping, Ana took her child’s loss with extreme difficulty, and became obsessed with finding her even to the point of betraying the rest of her family. A little unknown secret about Ana: she used to be a demon before joining up with the royal family. Birthed on Earth under the demonic name Alister, she ruled over 4 legions of demons taking over the planet Earth, and causing havoc wherever she went. After going to Tartan, Ana turned to healing instead of killing, and became the royal family’s healer. She married Jason, the second born royal to the Tartan throne, and became mother to a precious pink haired bundle of energy. When her daughter was kidnapped she took it the hardest, and became obsessed with taking revenge on her child’s captors even returning to her demonic existence. A: The first born royal princess (also known as Risa) to the Tartan throne, Merin is the pink haired daughter to Jason and Ana. She has the abilities to sense the existence of children within a certain proximity, and can see the invisible sprites or spirits who inhabit the royal palace gardens. She is able to transform her appearance between being a child to a teenager to a full grown adult, but her personality remains that of a child. Though some of her physical appearance changes, her signature pink hair and magical eyes do not. Not many people know the little secret Merin holds. After her queen (Mifa), Tara Rosa, reincarnated into a human, she unknowingly received some of Tara Rosa’s abilities making her an equal, in power, to the Queen of Tartan rather than a subject. She is the first of any magical creature to accept the human Crystal on Tartan while everyone else abhorred her. Merin also stood at Crystal’s side during the planetary war between Earth and Tartan, and became loyal to her. She has unwavering loyalty to her King, Mita Thomas, and has become attached to Crystal because of Crystal’s affiliation to Thomas. If you have any more questions for me, Tracy Millosovich, regarding my novels, its contents, the characters or if you’d like to chat, please private message me on Facebook or send her an email. You can always find me hanging around Facebook, because I’m a Facebook addict! tmillosovich on NaNoWriMo 2015 WINNER! Author A.K.Baxter on NaNoWriMo 2015 WINNER!